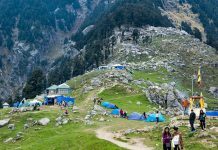 New Delhi: According to a media report, Himachal government plans to attract tourists by giving details about the state in different foreign languages on the tourism department’s website. HimVani as a think-tank, had strongly vouched for branding of Himachal tourism and revamp of the department’s website and impart info in foreign languages. HimVani, while carried the campaign online had at the same time collated the suggestions and sent to the department. The order on providing tourism related information in the Chinese language has already been given, HP Tourism Minister G S Bali told PTI on Sunday in Shimla. HimVani had also suggested a need for a brand ambassador that can promote tourism in Himachal at different forums. 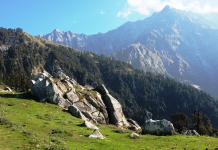 On those lines, the government has decided to use photographs of Tibetan spiritual leader Dalai Lama and his abode in Dharamshala to attract tourists to the state. Bali said that Dalai Lama had no objection to the proposal. According to an estimate, about two lakh foreigners visit the state annually, but the number of Chinese and Japanese tourists is far less. Earlier too, HimVani had suggested to the department to impart training to dhabawallas on the Kalka-Shimla highway on basic cleanliness and Himachali cuisine. The department, thereupon, as a pilot project had given training to dhabawallas located on the Shimla-Shoghi stretch.